What does the name Wo'se mean? The word Wo’se (pronounced “Wō-say”) comes from Waset, the name of a capital city in Ancient Egypt (referred to herein as Kemet). The city was called Thebes by the Greeks. Our version of the name comes from the classic book, The Destruction of Black Civilization written by the great scholar, Dr. Chancellor Williams, who called it “the most important single city in the entire history of the Black people.” By choosing it, we have attempted to resurrect the name of this great city and many of its ancient traditions. What is the Sacred African Way, and how does it relate to Wo'se' theology? The Sacred African Way is a way of life that is based on a wholesome relationship with The Most High, nature and each other as viewed from an African communal perspective. It is rooted in our ancient and on- going desire to know and grow in a manner that provides the greatest good for the greatest number at every level of family, community and nation. We believe it is an antidote for the genocide and self-destruction that plagues our current existence. This is why we have adopted it as a framework for our theology. While The Sacred African Way was founded on, grounded in, and includes spirituality and traditions from across Africa and the Diaspora, the primary source of inspiration for it has developed into the spiritual tradition of Ancient Kemet. Our Remetch (Ancient Egyptian) ancestors have been acclaimed by scholars as the most spiritually profound and intellectually gifted people of the ancient world. They created in The Nile Valley a civilization that was based on the understanding that all life is sacred and all human endeavors must proceed from that first understanding. What is the essential ethos on which our Community is based? Essential to our tradition is the concept and practice of Ma’at. We believe it is good and right to practice truth, righteousness, reciprocity, harmony, balance and right order in all we say and do. Our teachings inform us that Ma’at expresses that which was in the heart of The Creator from the beginning of time. Does Wo’se offer any opportunities to study? Our New Life Seminary classes offer weekly opportunities for studying the long history and traditions of our people, particularly, but not solely, those related to Kemet. Classes are facilitated by excellent instructors who encourage us to ask questions, engage in debate and share resources that help us learn and grow together. How do I get further information on Wo'se? Visit our website at http://www.wosecommunity.org, or visit us on any Sunday for service at 8924 Holly Street in Oakland, or visit our sister community in Sacramento. Enjoy a sampling of sermons, tributes and music from Wo'se' Sunday service. Giving Yourself to the Most High Your browser does not support this audio format. We are the Small Axe Your browser does not support this audio format. 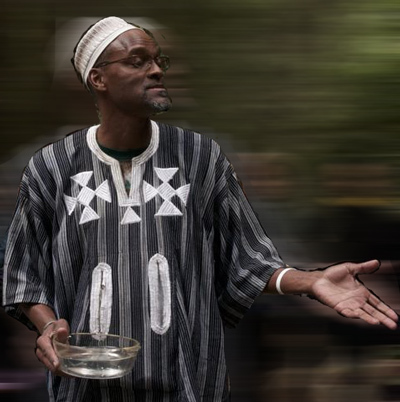 Wo'se Community is a community of the Sacred African Way. Beginning in 1981 it didn't take long for the members of Wo'se to recognize the need for an educational institution. the lead minister for over a decade. Wo’se holds service every Sunday and regularly offers classes on Sundays. Wo’se’ services are held at 8924 Holly Street, in the same building as the school, Ile Omode. Along with Oakland, there is also a sister community in Sacramento. Wo’se is a spiritual community rooted in the spiritual tradition of Kemet, or ancient Egyptian people. The spiritual practice is based on Maat (an idea encompassing truth, righteous, and balance), but borrows heavily from other influences. Wo'se members began Ile Omode to serve all African-American children, and while the school is based on a recognition in the importance of spirit, it is not a religious school, and it is open to children from all families. Ile Omode’s staff includes teachers with different religious affliations, including Wo’se members, Christians, Muslims, and agnostics. We are more interested in the common strands that bind African people together, and less about specific differences in religious practices. Visit Wo'se' website to gather more information on the service times, classes, and other special events. A video from one of Wo'se' services in the park - fall equinox.